Do I need travel insurance if I already have health insurance? At Insuremyholiday.ie, we take pride in delivering cheap yet comprehensive travel insurance to holiday makers of all ages, no matter what their destination. We know the difference that having insurance can make if something goes wrong, and we’ve seen people be hugely grateful that they had insurance when they ended up needing emergency assistance abroad. The simple answer is that travel insurance covers you for much more than mere health insurance does. Health insurance will cover you for emergency treatment abroad up to a certain amount, depending on the plan you are on. But just as we told you when answering the question ‘why do I need travel insurance if I have a European Health Insurance Card (EHIC)?’, it does not cover you for repatriation or the costs for additional accommodation or travel expenses. Additional travelling and accommodation expenses for a companion to stay with you if your accident/illness means you have to stay abroad longer than planned. If you have been travelling alone, we cover the costs of somebody travelling out to stay with you if it is medically necessary for you to have a companion. Reasonable additional accommodation costs caused by your accident/illness. Additional travelling costs to repatriate you where recommended. Expenses incurred for the burial or cremation of a deceased person abroad, or repatriation to Ireland of the deceased insured person’s body or ashes. 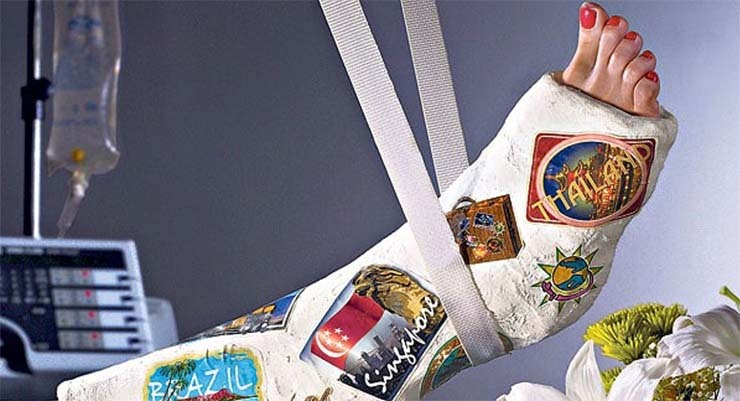 Remember too that a travel insurance policy covers much more than just medical expenses. For example, the single biggest reason for claiming on a travel insurance policy is for having to abandon travel plans before the trip even begins at all. Ultimately, our advice to you is to always take out travel insurance for your trip, even if you already have private health insurance. That way, you’ll be fully covered, no matter what happens – and our cheap travel insurance rates mean that you can get cover for much less than you might think. Just get a quote now – you could be pleasantly surprised!